These original oil paintings below are available for purchase. You can see more at www.paolafiorelleberthoin.com or schedule a time to see the paintings at Paola's home gallery. Sales of these paintings supports the ongoing conservation and maintenance of habitat for the redlegged frogs (a threatened species) and many other animals at my home garden and surrounding land. The frogs have been breeding here for the past five years. The frogs and all animals thank you! 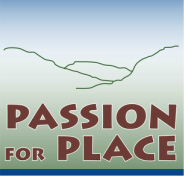 If you have a special place in the Carmel River Watershed (or beyond) you would like a commissioned painting of, Paola would be happy to paint it for you. This painting will be part of the silent auction for the Inaugural Juried Art Auction on Friday, June 19, 2015, 6-9 p.m., at the Sunset Center in Carmel. This is a perfect opportunity to support three arts organizations and the artist...and take home beautiful, meaningful artworks! You can begin online bidding starting June 10. Go to this link. This painting, "Three Evenings, South Arm of the Carmel River" is part of the silent auction for the Inaugural Juried Art Auction on Saturday, June 20, 2015, 3-6 p.m., at the Sunset Center in Carmel. This is a perfect opportunity to support three arts organizations and the artist...and take home beautiful, meaningful artworks! You can begin online bidding starting June 10. Go to this link. 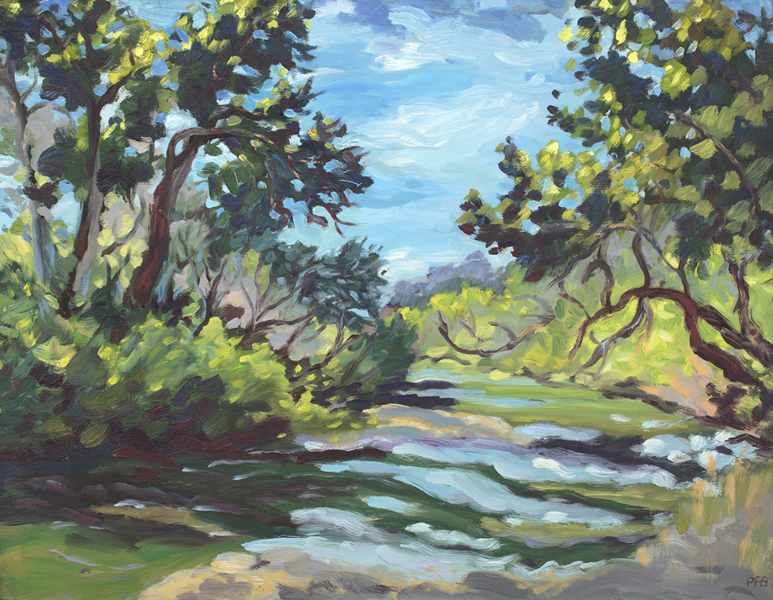 Room to Roam, View from Inspiration Point, Palo Corona Ranch, 30" x 36"
Carmel River at Los Padres Dam 7" x 16"
Work by Pedros J. de Lemos is currently on display at La Mirada Museum in Monterey until September 28, 2015.